Learn how to get into the WordPress files and database to manually manage installation and troubleshooting for WordPress websites. Build a simple brochure website after installing and configuring WordPress manually. Add contact forms, Google Maps embedded in the site, and Google Analytics integrations for tracking visitors and traffic. Create a blog-style website, including category and tag navigation systems, and post formats for organizing content. 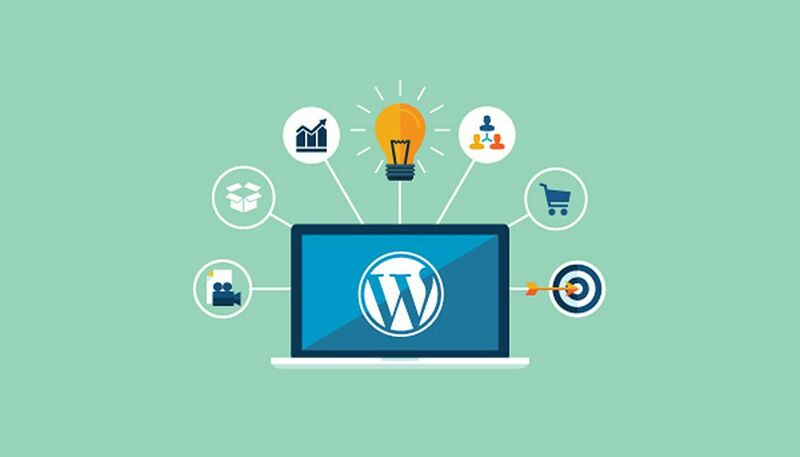 Some of the advanced topics that you will learn are WordPress website migration and moving sites to different hosts and servers, hosting differences and migration services, using staging areas for website development and updating, managing multiple websites for recurring income, creating multiple backup and restore systems, and using website security through https:// and SSL Certificates. In 2018, build a beautiful responsive Wordpress site that looks great on all devices. No experience required. This course will guide you through every single step from installation to finished website. Once you are happy navigating around your new tools, you’ll go through the main features you will need as you create your site, including the WYSIWYG editor. You’ll look at post excerpts, categories and tags, and how to use them on a well-structured site to maximize visitor experience and search engine ranking benefits. You’ll see the two main ways you can set your homepage up. You’ll cover Wordpress security, and set up a system that will keep the site safe from hackers. With this course you will have the skills & confidence to take on WordPress projects for clients, charge more money, and make the value of the course back in a single project. In this course you will build a website step-by-step and along the way you organically absorb and master WordPress. It covers setting up a new WordPress site/project, creating pages, creating blog posts, customizing the colors & theme of your website, embedding YouTube videos into your website, setting up custom navigation menus, creating photo galleries, and using a custom homepage instead of a generic “blog listing”. This course will teach you, step-by-step, how to build a highly profitable eCommerce store, from scratch. You’ll be learning by doing and within the first few lectures you will have built your very own fully operational eCommerce store. From there, it’ll teach you how to find profitable markets, find hot selling products within those markets, identify your ideal customer and then drive them to your store to buy your products. Go through online hosting, subdomains, choosing you domain name & Wordpress installation. Optimize images & create creative art direction for web design with photoshop. Set up email opt-in forms throughout your website for email marketing. Convert your Wordpress website into https secure (encrypted connection). In the Wordpress course we will be learning web design & demonstrating design theories & fundamentals including design ratios, colors, fonts & more to achieve the best design visuals possible for your web design & development including latest design trends. Join our complete WordPress course to easily create a professional Wordpress website: no experience or coding necessary! With this course, build your own beautiful website using WordPress, design your WordPress website the way you imagine, and customize your WordPress website for any purpose of yours — whether it’s a blog, a portfolio to show off your work, or an e-commerce site to sell your products or services. 8. Easy Wordpress course: build your first Wordpress website! Join our Wordpress course and build your website in a fun and easy way. Clear, exact and easy to follow short videos. Install your new website and get it online in less then 7 minutes. Understand the backend and front end of your Wordpress site. Know your way around the backend (the control panel) of your website. Choose a theme (design template) for your Wordpress site, how to change it if you change your mind and how to customize the theme. Install plugins and how to uninstall them. Add anti spam and anti plugins to your site, and to back up the site. With this course you will learn how to make your website an amazing full fledged website! You can build a website for your business, an Online store, a forum, a gallery for your work or products, a great looking blog, or any other kind of website you can think of. You will learn how to keep your website safe, free of spam and hackers, how to add Wordpress plugins, how to set up the content (posts and pages), and how to make your website beautiful. With this course, you will be able to build a wide variety of WordPress websites, implement best strategies and techniques for building WordPress websites, identify the best plugins and themes for building different types of websites, improve your overall WordPress skills, and work with the most powerful and sophisticated WordPress plugins. In this course you will learn how to build the following types of websites: Blog, business website, membership site, e-commerce site, forum, job board website, one page website, and portfolio/gallery event website. In addition you will also learn how to use some of the most popular and powerful WordPress plugins. Install Wordpress on your local computer so you can learn without paying for a domain and webhosting. Create a website using Wordpress and the enfold theme, elementor or the divi theme. Become an Wordpress expert. Create beautiful pages, post and portfolio items using this amazing editors. Download, install and configure external wordpress plugins. Optimise your website for Google, Bing, Yahoo etc. Backup, export and move your website to a different domain. This course will teach you how to create a website from scratch using Wordpress and the Enfold theme. As an addition it will also show you how to create a webshop and start a mailinglist.